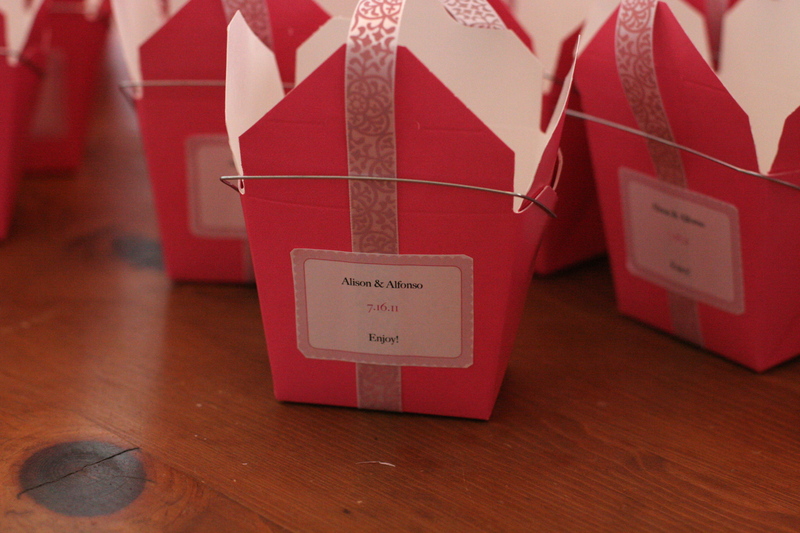 Here’s another post about a catering client- this time, a bride and groom. 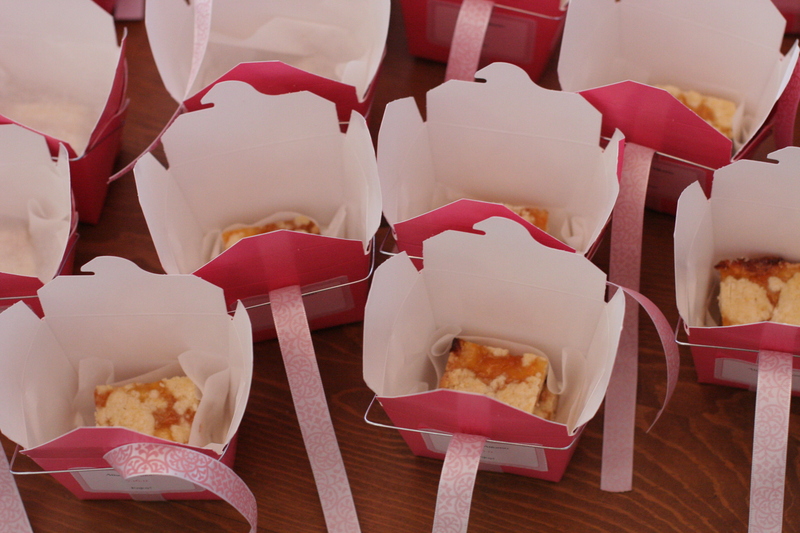 A few months ago, the bride asked me to come up with some ideas involving baked goods as party favors for her wedding rehearsal dinner. 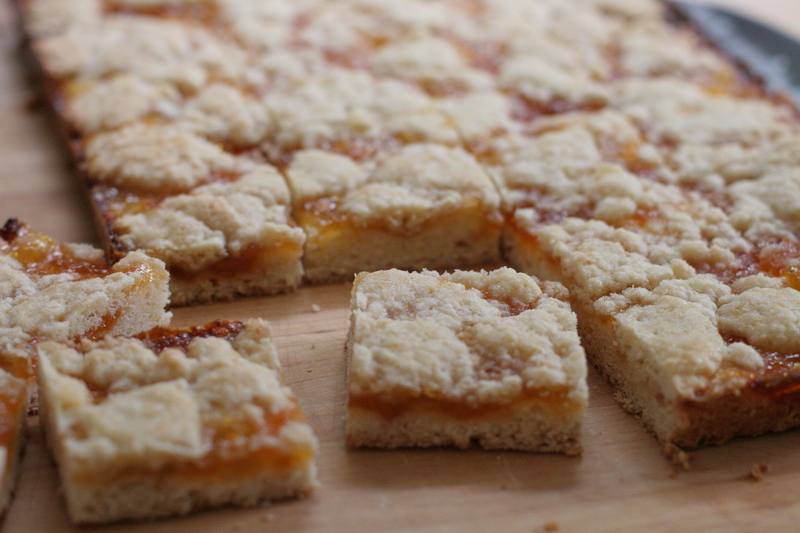 After sending over photos and packaging ideas for several different sweets, she went with Austrian shortbread bars filled with fruit jam tucked into a pink Chinese takeout box. 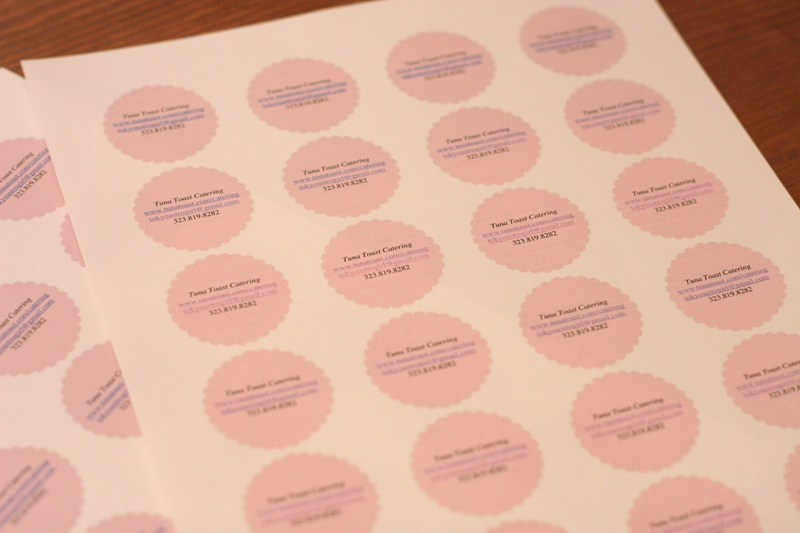 I started the planning process about a month before the actual dinner- sifting through ribbon bins at Michael’s, ordering the take-out boxes and looking for the perfect sticker template online. 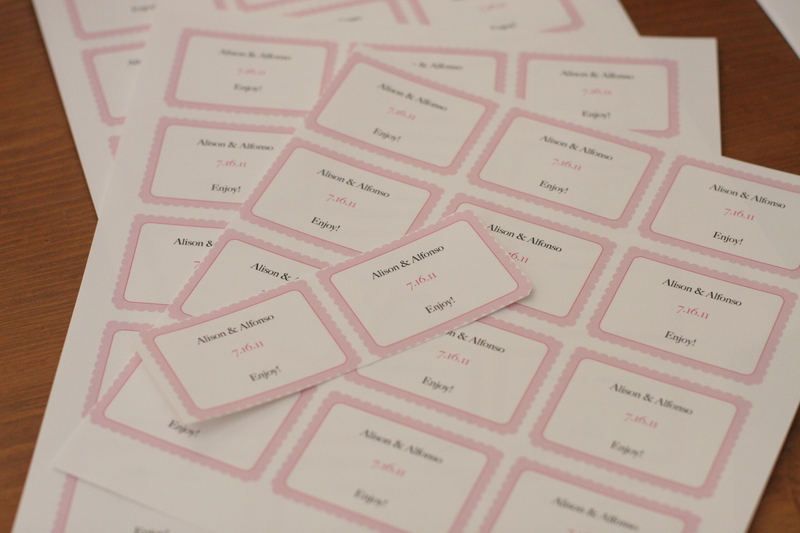 About a week before the special evening, I made all of the stickers, cut the ribbon into the length I needed for each box and bought some tissue squares to line the inside. 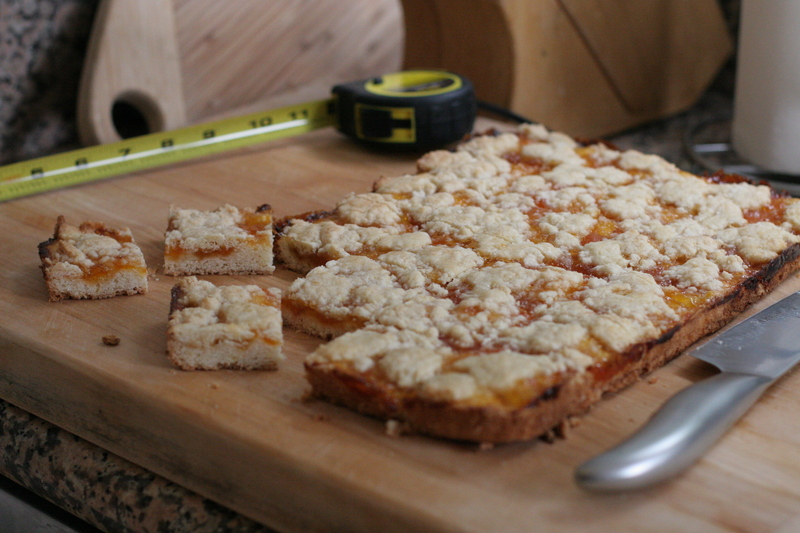 One day before the event I got to work baking, cooling, measuring (it’s handy to have a kitchen-only tape measure!) and cutting the shortbread. 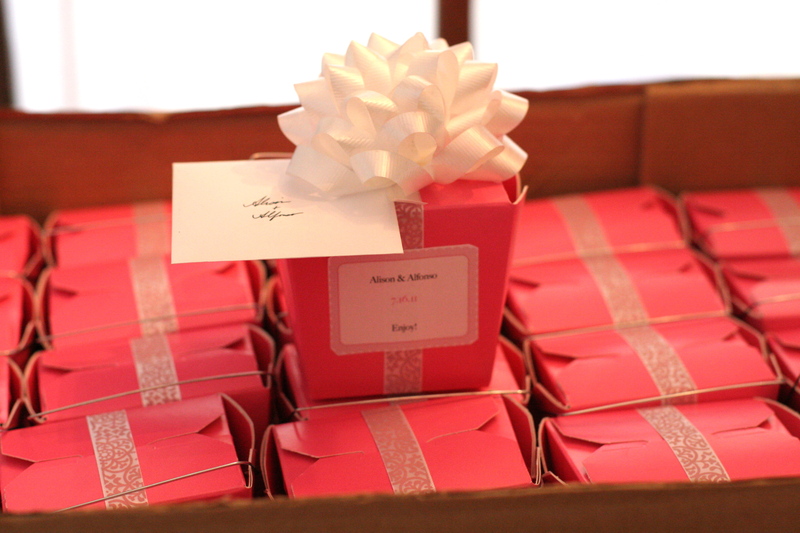 After setting up an assembly line of sorts, it was quick work packaging, sealing and boxing up the favors to deliver to the client. This project was really fun, and I was really happy with the way they turned out – both inside and out. The best part is opening the box to be hit with the scent of butter and sugar, and since there’s jam in the cookies, they make a nice breakfast for the morning of the Big Day with a hot cup of coffee. 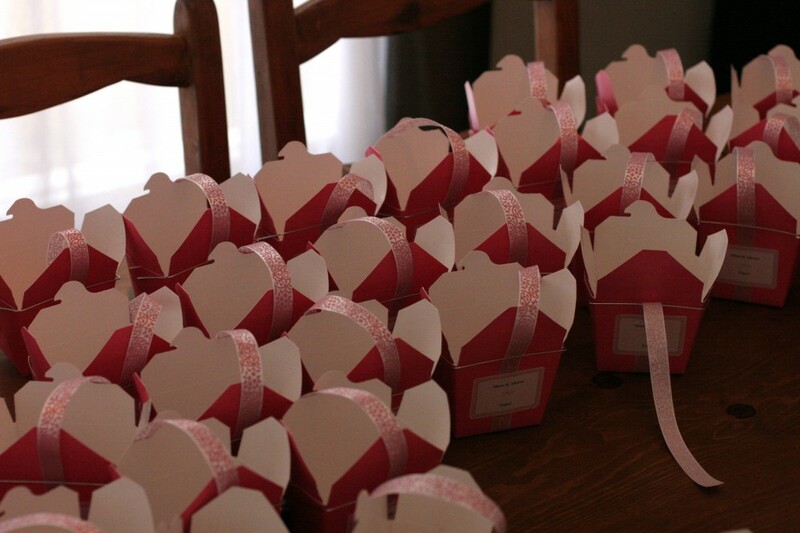 One special box for the bride and groom! This entry was posted in baked goods, baking, catering and tagged baked goods, catering, catering client, shortbread, sweets, wedding. Bookmark the permalink. 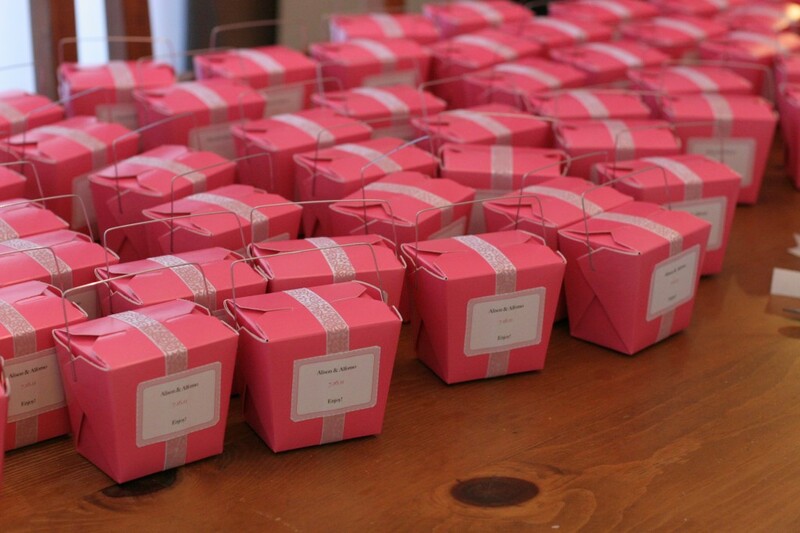 I would be very happy to get one of these as a party favor! So much better than those chalky boring almonds that people usually give out. 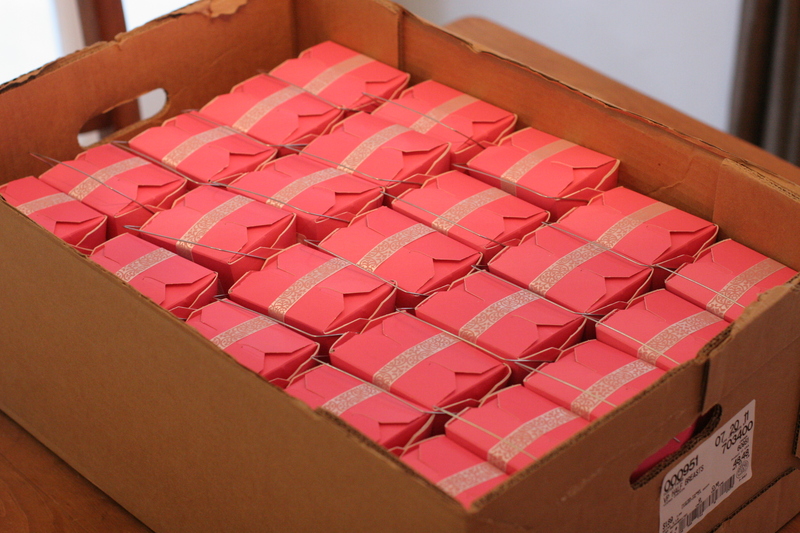 They are so pretty, I love the little take-out boxes. Clare: Thanks! I was very happy with them too, and my house smelled like shortbread for an entire day so that’s an added benefit. likemamausedtobake: Thanks so much for reading- I got those online, much cheaper than buying them in a store. I have some leftover that I may use at my next dinner party, just for fun! such a sweet and adorable idea!! love!